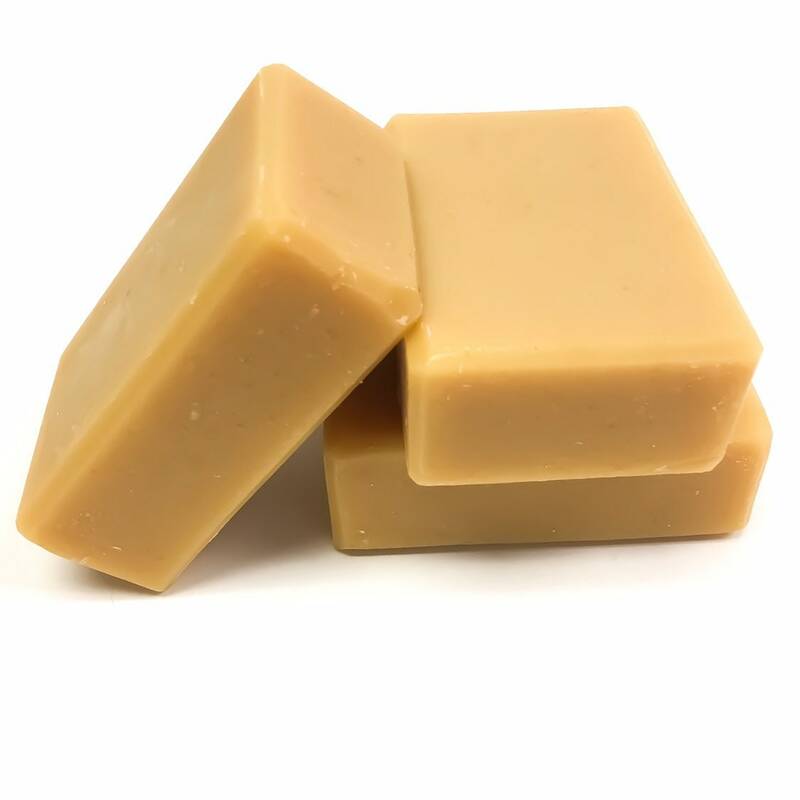 Lemongrass Goat Milk Soap...a gentle cleansing formula with an uplifting lemon-like, earthy aroma. Luxurious tussah silk and creamy shea & cocoa butters give a velvety, silky feel. 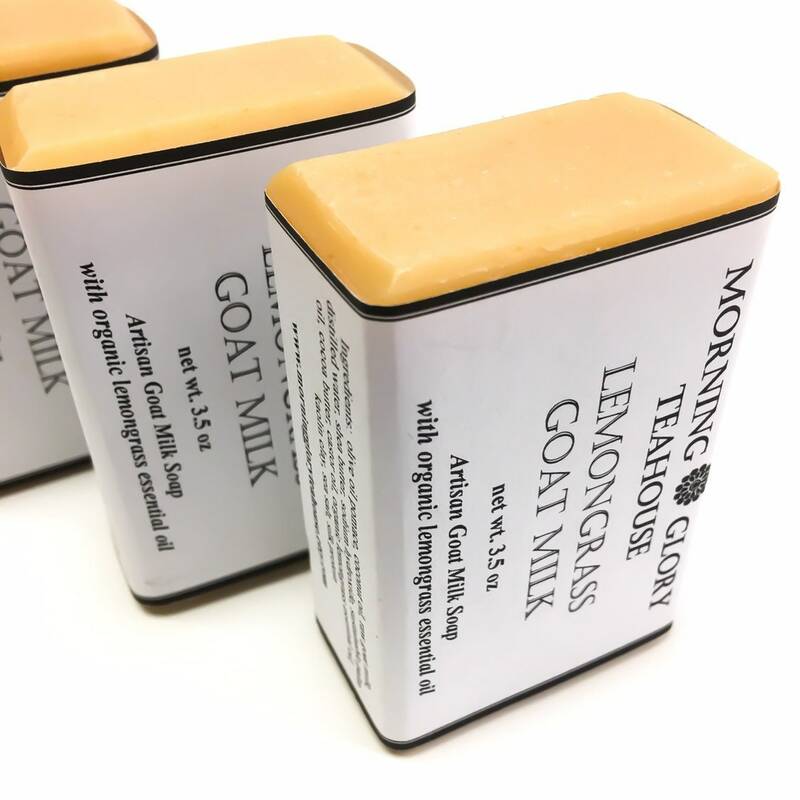 You'll love the lotion-like lather this gentle soap gives, with the creaminess from the local raw goat milk used (from Belleville, PA - Amish Country). No synthetic fragrances or artificial colorants are used. Pure, organic lemongrass essential oil gives just the right balance of earthy, grassy herbaceous notes with hints of sweet lemon and tangy goat milk. A great soap for sensitive skin! 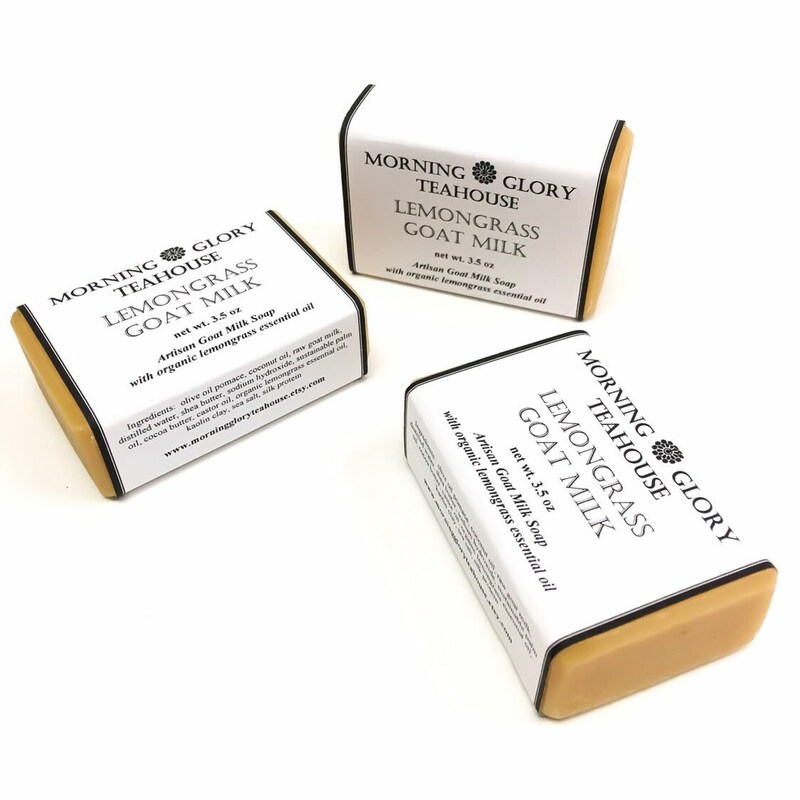 Each handmade bar of Lemongrass Goat Milk soap weighs at least 3.5 oz net weight, or more. This soap is hand cut and beveled, so the look and weight may vary slightly. 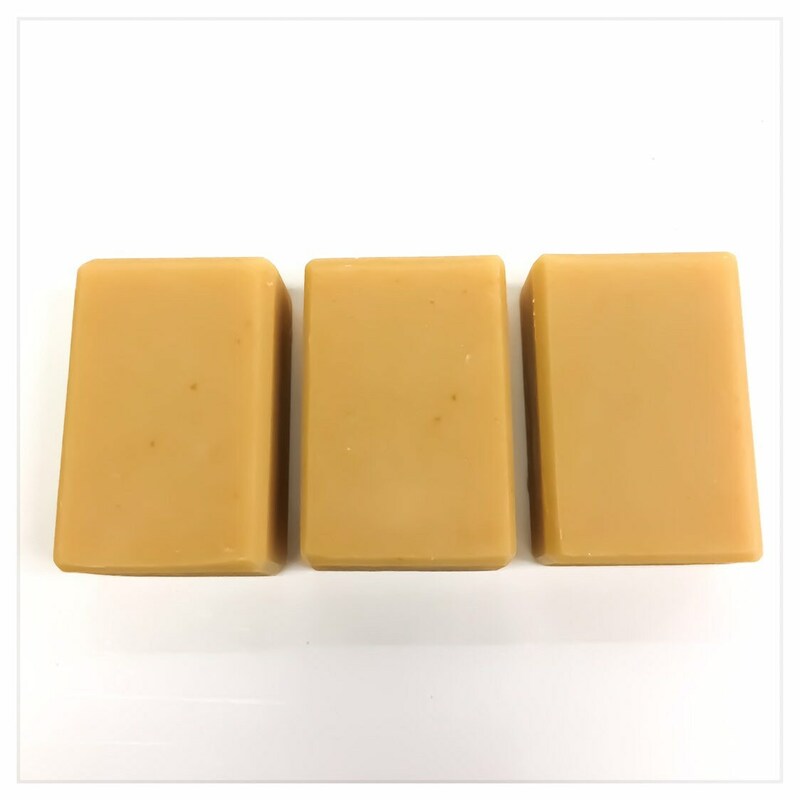 Each bar measures approximately 3" long x 2" wide x 1" thick. All of our soap bars are labeled for gift giving. We use breathable paper labels for packaging our handmade soap – 100% recyclable, biodegradable, and compostable. Handmade soap needs to breathe! This arrived VERY quickly! The soap is as described... and all the smells...so wonderful!